“Because My Heart” began deceptively, with a series of descending, rather jazzy piano triplets before the surprising inclusion of a pedal steel guitar brought the melody to the table for this “after the affair” breakup song of quiet resigned anguish. The piano kept the rhythm throughout the song ending it exactly as it had begun it. This was the first track on the album to feature much of the classic China Crisis lineup, suggesting that it had been begun nearly 20 years ago. This must be fact because the drummer here was the first of several posthumously released Kevin Wilkinson mandolin/drum performances on this album. Long-time fans might remember that Wilkinson [League Of Gentlemen, China Crisis] had tragically committed suicide in 1999. A passing of a decidedly different kind fueled the wistful and warmly affectionate elegy to a dying father in “Bernard.” The music here was gentle and muted; even moreso than the normally mild-mannered China Crisis sound. Gary Daly was dry and up front as he celebrated a life and its love in a clear-eyed and tender manner that I found rather stunning. It would be too easy to get bogged down in maudlin over emoting, but Daly had not time for that here. He offered instead a haiku-like series of warm observances and non-possessive love that almost managed to make me regret not having offspring to say such things on my deathbed. This one also featured Wilkinson on guitar/drums and one of the most wonderful things about this track were the airy, expression backing vocals of Nina Jones and Molly Daly [Gary’s daughter] which evoked the great Wendy Smith of Prefab Sprout as they gorgeously mirrored the piano and horn lines. Piano played, incidentally by one “Howie Jones,” Possibly better known as Howard Jones? Could very well be. After such a beautiful elegy, the energy level amped up a tad for the gorgeous “Joy And The Spark,” the third consecutive song with Wilkinson drums. The rhythm here from Wilkinson was motorik, albeit at such a low bpm it barely registered as such. Daly’s synth got the sunny hook fluttering through this song concurrent with his piano. 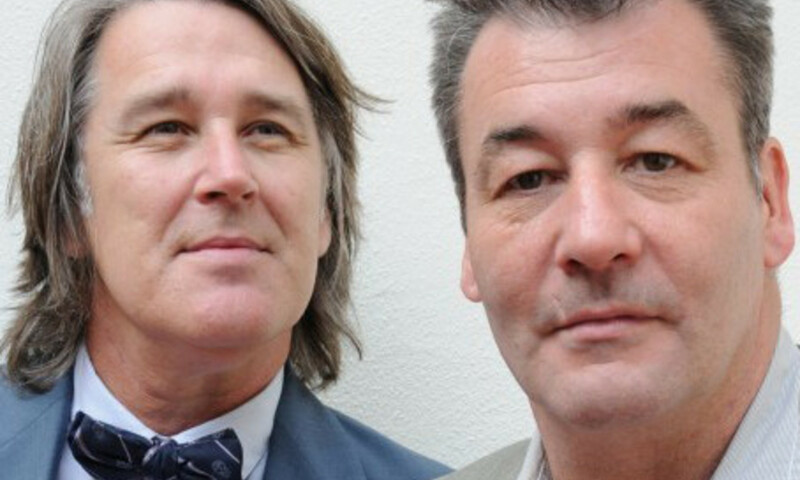 China Crisis exist to create warmly yearning songs like this one. Hearing a track like this only served to remind me how much I’m lacking when China Crisis are inactive. Most of the classic band lineup all contributed to “Being In Love” and while most of the songs here were solitary Daly or Lundon tracks, this one doesn’t hurt for involving the whole band in writing. In fact, it sounded like a victory lap at successfully revisiting the “Flaunt The Imperfection” sound, albeit with even better writing. The mellifluous music here was coupled with a chorus packed with contrapuntal melodies via multiple backing harmonies and synths offsetting Stuart Nisbet’s richly sustained lead guitar solo. This entry was posted in Core Collection, Record Review and tagged 2015, China Crisis, crowdsourcing. Bookmark the permalink. Because My Heart, lead by it’s gorgeous piano motif and the very emotional and personal use of pedal steel, is a true stand out on a stand out album. The opening and closing piano creates an image of a man sitting in a window box while the rain outside dapples the window panes taking stock of a relationship ended, a love lost. There’s no need for anguished emotion, just resignation and taking stock of what was and wasn’t to be. Kevin Wilkinson’s appearance on three tracks is evidence of how truly important his contribution was to China Crisis. HIs loss is one that is obviously still great in the dynamics of the band and that this album exists in as much of a unit effort is a great testament to that. I can’t add much more to your assessment of Bernard, Monk. It IS stunning. It also echoes some of the most tender moments on their debut and Flaunt The Imperfection. In fact I have to say that the importance of producer Brian McNeil evident throughout the confident performance. His keyboards as well as very sympathetic approach allow China Crisis to shine and soar, in a very genteel China Crisis way. I am a truly unapologetic fan of Flaunt The Imperfection. All negativity thrown that albums way is just muted white noise to me. The place that China Crisis and Walter Becker found themselves in was just magical and help to make the album one of my all time favorites. Having put that out there, it’s the next two songs on Autumn In The Neighborhood that bring me back to that beautiful album. Joy And The Spark reaches deep into the magician’s top hat and brings back some of the jazzy pop and emotional tenderness of 30 plus years ago. The ‘traveling” sax throughout the song just tugs at my heartstrings, as does the use of Kevin Wilkinson’s soft yet metronomic drums. Being In Love is a beautiful bud that opens into magnificent rose of a song. Once heard, the chorus will stay with you for hours. It may be one of the best songs China Crisis has ever recorded. It rivals classics like Blue Niles Tinsletown In The Rain for me in creating an acknowledgement of just what the singer is trying to get across. Echorich – “Being In Love is a beautiful bud that opens into magnificent rose of a song.” Poetry, sir! And so true! My copy has arrived, from both of your comments it sounds as though it was £30 well spent! SimonH – Any China Crisis fan who went through the effort of buying this CD – no mater how [or how much]; was rewarded by its playback. This is one of the most beautiful albums I’ve heard in a long time. It’s baffling to think it had such a limited release.